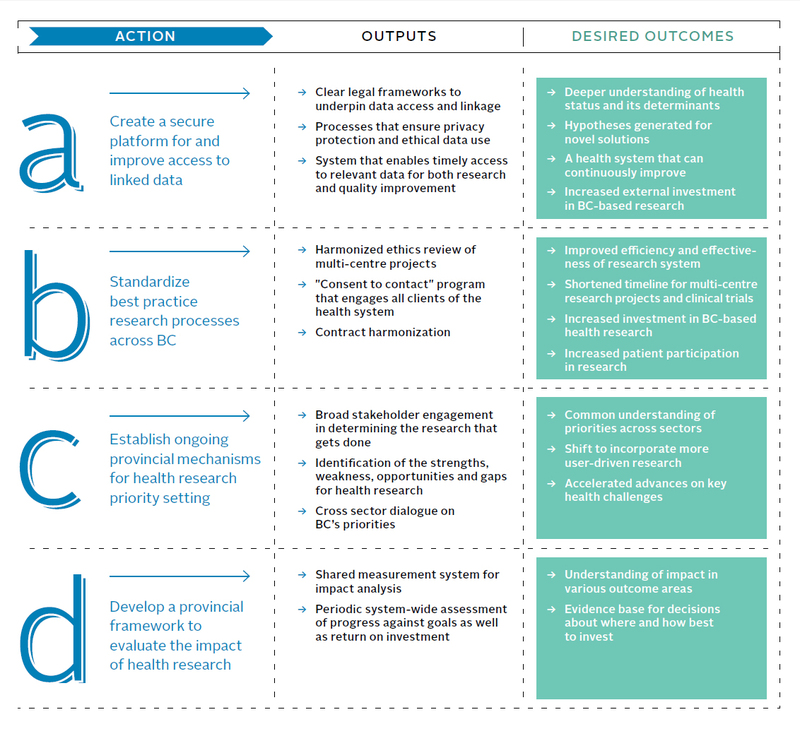 The complex and distributed nature of health research across the province is a strength of our enterprise. The system is able to adapt and provides opportunities for specialization that reflect geographic and population contexts. But there are challenges with this complex distribution of entities that includes universities, colleges, health authorities, and research institutes and centres. Duplication is common in distributed systems, especially when they develop from the ground up and individual institutions try to meet the needs of a broad range of stakeholders. Consolidation of key resources has begun, but research producers and users across BC will benefit from the creation of new provincial foundational elements and the further enhancement of existing elements, especially those that no institution could or should develop and maintain on its own. Similarly, standardizing best practices and procedures by expanding core services that are best centralized will maximize collective and individual work.